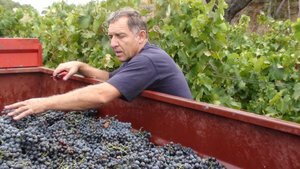 Under a grey but dry sky, Yves Gras is harvesting the last grapes of his most precocious vineyards in Gigondas and Vacqueyras. 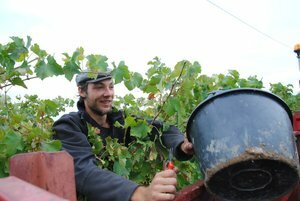 The rather international harvest team is meticulously sorting the grapes in the vineyards in a concentrated and in a jovial mood, while Yves bends over the trailer to remove the last “bad” grapes and leafs that might have fallen into the buckets. 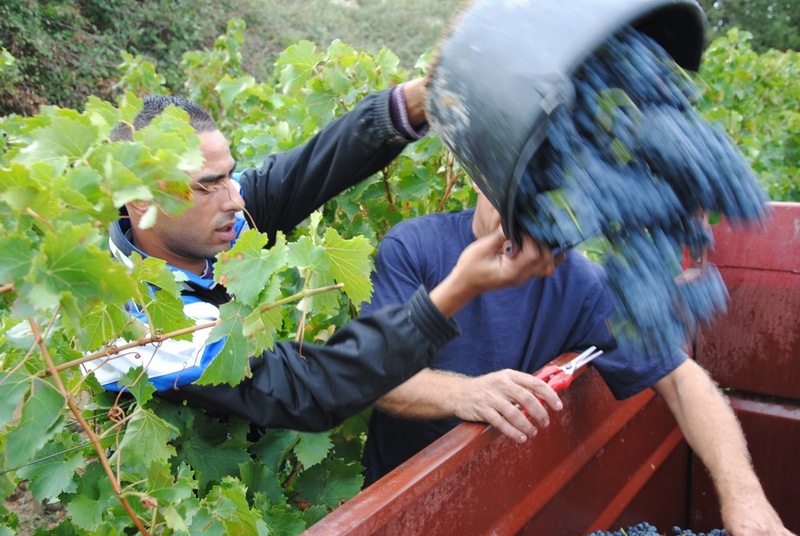 Few but juicy and savoury grapes for the 2012 vintage, by the way the first certified ORGANIC WINE of the Domaine Santa Duc, in vineyard and cellar. The thunderstorms roaming around France towards the end of September, brought rather beneficial rain for the vineyards and grape varieties that ripen later and will be picked by mid October. Yes it’s true: In Gigondas the Grenache dares to overshadow Syrah and Mourvèdre. 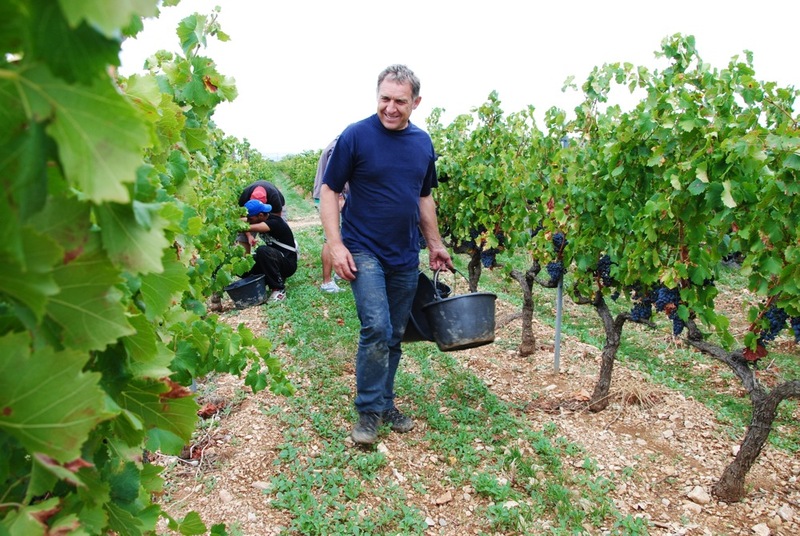 But even if it seems to rule out all in the Rhone Valley, it also appreciates good company. That’s why Mourvèdre, and to a lesser extend Syrah, occupy an important place in our vineyards, for different reasons. 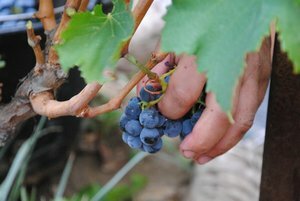 La Syrah, one of the few ladies amongst French grape varieties, offers certain qualities that a Grenache may appreciate: A dark, mysterious colour, aromas reaching from violet and raspberry to truffle and tobacco in old wines, and its legendary elegance that may temper the ardour of a Mediterranean Grenache. 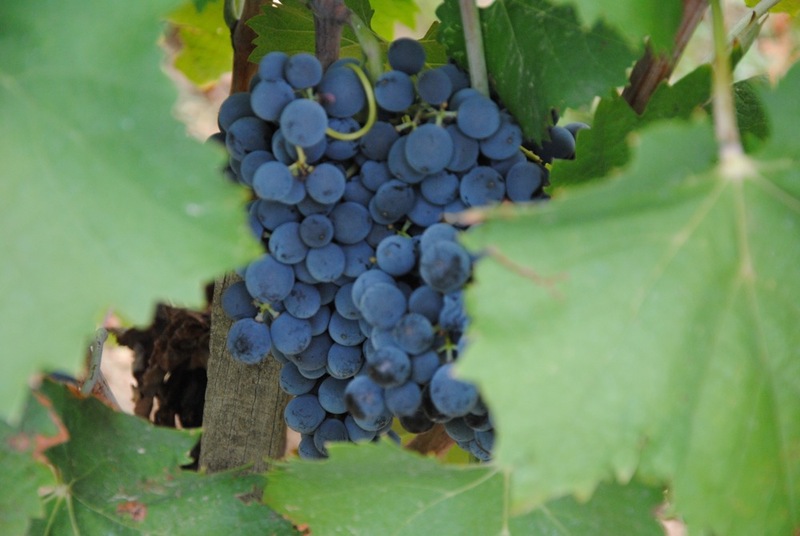 The Mourvèdre, a grape variety we particularly appreciate, often watches the other grape varieties from a distance. 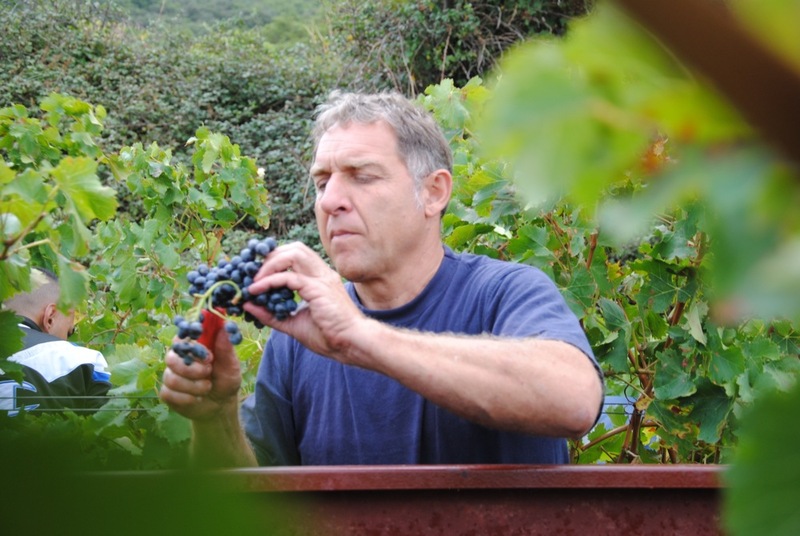 More serious and discreet, he acts like a real shadow man in our wines, who controls the cuvee from the wings. 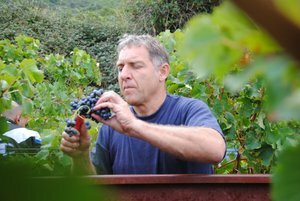 Black in colour and fruit, he’s mainly loved – and feared – because of the specific structure of his tannins. As a grape variety that ripens late, it should only be planted in specific places, to avoid the risk of unripe fruits that shall only give a rude wine. 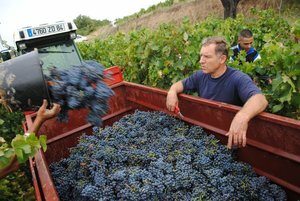 The lower, alluvial parts of Les Hautes Garrignes, as well as the higher, calcareous parts of Gigondas, both terroirs where grapes ripen lately, particularly suite to Mourvèdre. 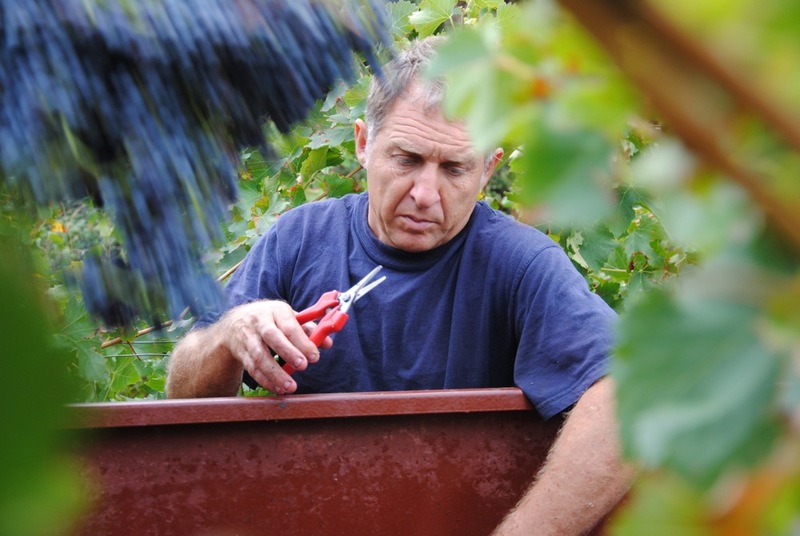 It gives straightness and calmness to our wines, as well as crispy, fresh tannins. Habemus Papam – we have a pope – that’s what we can claim now at Domaine Santa Duc, only few days after the bottling of our first wine grown in Châteauneuf-du-Pape. 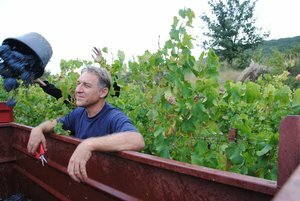 We purchased our 40 year-old vineyard on the sandy soils in the north-eastern part of the appellation in 2009. 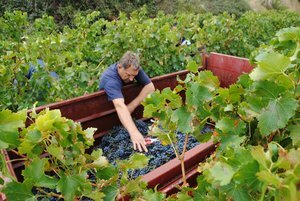 Picked for the first time in 2010, a remarkable vintage in the Rhone Valley, partly destemmed grapes were fermented by natural yeast, before the wine took a 14 months rest in the wooden tanks of our cellars. On the label we honour Jean XXII. Native of Cahors, he was the first pope to choose for Avignon as residence. 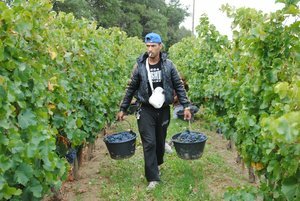 As well, he planted the papal vineyards and ordered to build a new castle (château neuf) in the place that should become Châteauneuf-du-Pape. This wine is made from a majority of Grenache, assisted by a few grapes of Mourvèdre: Lightly coloured, a fine and elegant nose, juicy, straight and mellow on the palate. 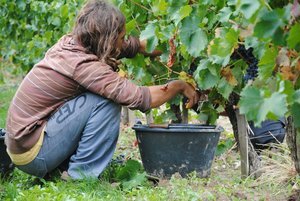 After having been presented at different wine fairs and events all over Europe this spring, this daughter of Châteauneuf, born in the terroir of the Saintes Vièrges (the Blessed Virgins), a delicate neighbour of La Crau, is now ready to expose herself to your palates. We are very happy to announce that we have purchased another 2,5 hectares of vineyards growing on the terroirs of La Crau and La Font du Pape in Châteauneuf-du-Pape, bringing the total surface of our vineyards in the appellation up to 3,75 hectares. Driving towards Vaison-la-Romaine, just northeast of Rasteau lies the village of Roaix, Côtes du Rhône Villages since 1967. Situated at an altitude between 150 and 350 meters above sea level, the vineyards of this community are spread out on two quite different terroirs. 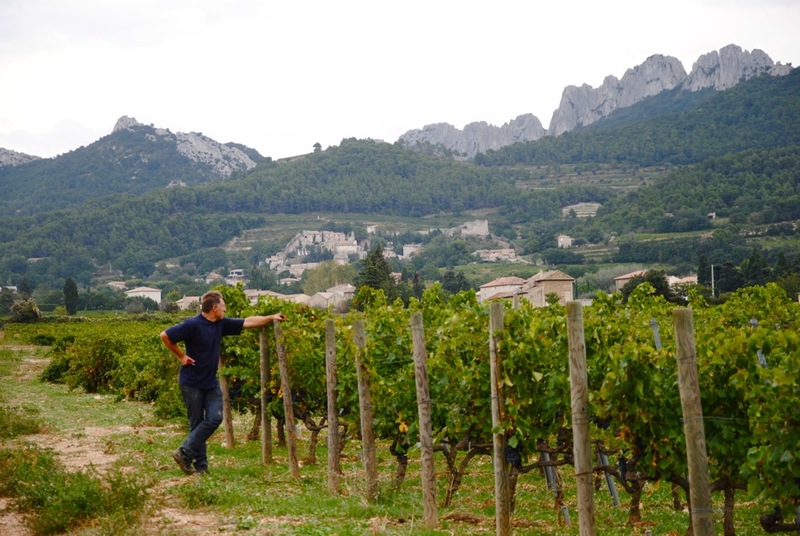 While the lowest part takes its power from alluvial, quaternary terraces (a rather common soil type of the southern Rhone valley), the vines growing at the piedmont and the slopes of the Montagne de Ventabren root in rocky sand soils (locally called Safres) and, higher up in red clay. 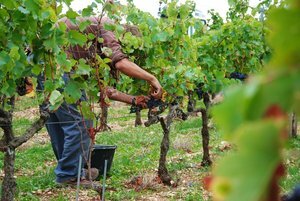 Exposed to the hot Mediterranean climate and the northern Mistral wind, the genuine secret of the vineyards of Roaix is to be found in the northeastern exposition of the Montage de Ventabren. 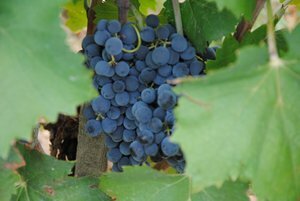 It confers surprising acidity and fine tannins to grapes and wines, which will be specially appreciated in hot vintages.